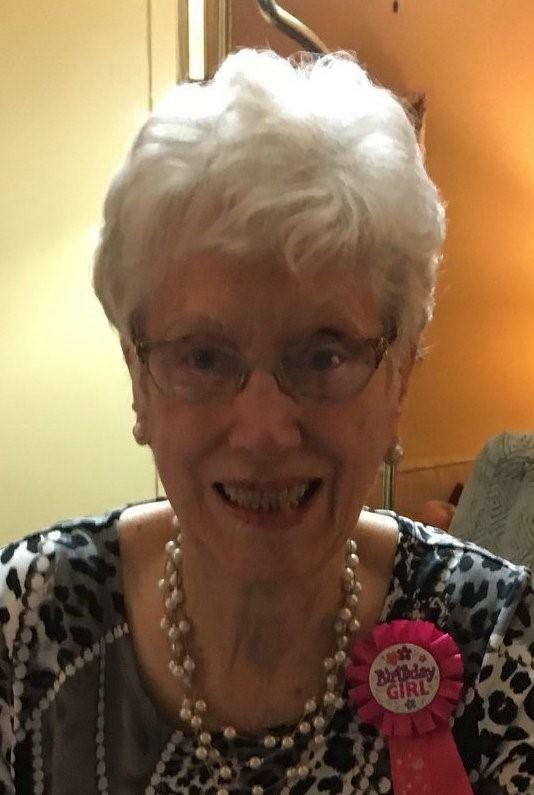 It is with great sadness the family of Jean Nicholson, 88, announces her passing on February 10, 2019 at the New Waterford Consolidated Hospital, one month shy of her 89th birthday. Born in New Waterford, she was the youngest daughter of the late Murdoch S. and Catherine McNeil. Jean was a loving wife, mother, grandmother, and great-grandmother. She was a teacher, graduating from Truro Normal College in 1949. Jean was a life-long learner, an avid Blue Jays fan and always saw the positive in people or situations. A wonderful role model for all of us, she loved unconditionally and cherished her time spent with her children, grandchildren and great-grandson. Jean was a dedicated member of the Roman Catholic Church. Her faith in God never wavered, even during her last few months. She is survived by her children, Michael, Truro, Patti (Pat) Watters, Douglas, Ontario, Jimmy (Dee Dee), New Waterford; her grandchildren, Jacqueline (Garry) Dillabough, Eric Watters, Kelsi Nicholson; her great-grandson, John James Angus Nicholson; her sisters, Cecilia Curry, Mary Gillis; sister-in-law, Mary McNeil; numerous nieces and nephews. Jean was predeceased by her loving husband, Eddie, in 2004; grandson, Jesse; siblings, Steve (Rose, Mary), Jenny, John A. (Margie), Mike, Rita, Francis 'Fro' (Florie, Margaret), Doug (Jean), Isabelle, Theresa (Avellino), Gerard 'Uggs' (Lottie), Bernard; in-laws, Bernie (Kay), Jackie (Gail), Mae and Alec Nicholson. Cremation has taken place. Visitation will be held on Wednesday, February 13 from 4-8 p.m. in V.J. McGillivray Funeral Home, 380 Smith St., New Waterford. A Funeral Mass of celebration will take place Thursday, February 14, at 10 a.m. in the Parish Church of St. Leonard, Mount Carmel Avenue, with Fr. Ray Huntley officiating. Burial will be in St. Agnes Cemetery with a luncheon to follow at St. Leonard's Parish Hall, Convent Street, New Waterford. In lieu of flowers, donations may be made to the Canadian Cancer Society, Heart and Stroke Foundation of Nova Scotia or a charity of one's choice. Jean's family would like to thank the doctors and nurses of the New Waterford Consolidated Hospital for their care and kindness during this difficult time. A very special thank you to George and Cindy Abraham for their endless support over the years.